To answer that question, we have compiled the following sections to explain to you the legal structures that exist to compensate for these kinds of injuries including bed sores and other issues. If your loved one developed a bed sore during an admission to a California nursing home, contact the Nursing Home Law Center LLC today for a free case review. California has a very expansive set of laws that protect the elderly and preclude abusive actions against them, largely in the Welfare and Institutions Code § 15610-§15610.70. According to §15610.07, it defines “abuse” as (a) “Either of the following: (1) Physical abuse, neglect, financial abuse, abandonment, isolation, abduction, or other treatment with resulting physical harm or pain or mental suffering. (2) The deprivation by a care custodian of goods or services that are necessary to avoid physical harm or mental suffering.” Examples of elder abuse include neglect, exploitation, and physical abuse. Economic Compensation: the main dimension of recovery for elder abuse and bed sore victim is economic. This is the broad spectrum of out-of-pocket expenses that the defendant’s actions caused you such as medical bills, loss of income, and property damages. Non-Economic Compensation: Sometimes, incidents affect you so dramatically that your life will never be the same again. For this, you should be compensated and common categories are loss in quality of life or reduction in the standard of living. Wrongful Death Compensation: Relatives and significant others are entitled to bring actions for the loss they suffer because of the deaths of their loved ones from abuse and bed sores. Punitive Compensation: Under certain circumstances, wrongdoers are doubly liable if their actions are deemed to be so vindictive and extreme that they need to be punished and others need to be warned. This outline should begin to give you an estimate of what your elder abuse or bed sore case could fetch at trial. However, to understand the exact kind, extent, and reasoning behind your specific recovery, you should speak to a qualified attorney. Median recovery for California elder abuse cases is $75,000. 19% of California elder abuse cases obtain more than $1,000,000. Median recovery for California bed sore cases is $40,000. 14% of California bed sore cases obtain more than $1,000,000. Personal injury actions: 2 years. CCPC § 312. Medical malpractice actions: 1 year. CCCP § 340.5. These laws are complicated by a few things. First of all, if you do not discover your injury for a certain amount of time, then you may be afforded an additional two years after your discovery. Also, states often put an overall time limit on actions so your case could be banned regardless of when you realize your injury. To understand how long you have for your lawsuit, speak to an experienced California nursing home negligence attorney today. 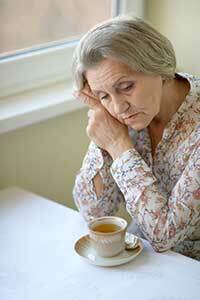 Laws: If you would like to read more about the laws of elder abuse in California, click here. Agencies: To learn about the agencies that watch and investigate elder abuse in California, click here. Bed Sore Treatment: If you are seeking wound care providers in California view the information here. So give us a call? (800) 926-7565 We can explain to you exactly what you need to do to begin the road to recovery. Our office can assist you with the prosecution of bed sore lawsuits across California including the following cities: Los Angeles, San Francisco, San Diego, San Jose, Sacramento, Oakland, Long Beach, Bakersfield, Fresno or anywhere else in the Golden State. Our firm handles bed sore cases on a contingency fee basis meaning you never need any out-of-pocket funds to initiate a case. Mean recovery for bed sore cases was approximately $33,000. About 21% of bed sore cases involved deaths. Roy Bass, a 62-year-old man, was admitted to a long-term care facility after visiting the emergency room for a variety of issues. Not more than a few days later, the staff at a the care facility allowed him to shower alone despite specific instructions from his doctor that he bath with assistance. While bathing, he slipped and fell and seriously injured himself. Then, later on, he developed bed sores that became infected and eventually killed him. To recover for these injuries, his estate sued the home and charged it with negligence and wrongful death. The defendant nursing home denied that they were responsible and the nature of his injuries but sought to settle. The plaintiff received $107,500. In this matter, a woman a woman was brought under the care of a nursing home to treat issues related to pressure sores. Unfortunately, her condition only worsened after her admittance and she died. Her estate sued the facility and claimed that it failed to provide the decedent with the proper amount and kind of care. It disagreed. It said that it did the best it could but that her condition was beyond repair. This contention was tested by the jury and they gave it a failing grade. The woman’s family received a $225,000 verdict. This unfortunate case involved a wrongful death action against a nursing home. Under its care, a woman died from complications due to bed sores. However, she was also suffering from multiple other ailments and was seriously ill upon her entry to the facility. Therefore, the plaintiffs had a hard illustrating that the defendant home’s actions solely caused the decedent’s death. Yet, they still received $100,000 in a private settlement prior to trial. In this bed sore case, a 90-year-old woman was transferred to a nursing home for advanced care and supervision. Over the course of the next six months, approximately, she developed bed sores. Rather than transport her to a hospital, staff at the nursing home decided to try and ameliorate the condition themselves. Unfortunately, the woman’s condition deteriorated and she had to be taken to an emergency room for treatment. She died at the hospital. Her relatives quickly brought a lawsuit to recover for what they viewed as substandard treatment that the nursing home provided. The defendant facility responded that it provided prompt and proper care. However, the jury believed the plaintiffs’ version of events and thought that the nursing home was largely to blame for the woman’s immediate death. The family obtained $1,823,000 in damages. This story started when an ambulance rushed a woman in her late thirties to the hospital to treat pneumonia and infections related to pressure sores. Despite the valiant efforts of the medical staff, she did not make it. Four of her children survived her. Eventually, her family decided to bring a case against the nursing home where she was living just prior to her death. They argued that the defendant facility did not adequately treat her and that, as a result, the woman contracted decubitus ulcers and pneumonia and died. The nursing home did not accept this premise but wanted to end the case so offer the family a settlement package and they accepted. The plaintiffs received $50,000. Do You Have Questions Regarding the Value of a Bed Sore Case Against a California Nursing Home or Hospital? Our attorneys have experience prosecuting bed sore cases involving nursing homes and hospitals in California. If you are dealing with a situation where loved one has developed pressure sore or has died from a wound, we are interested in speaking with you. Our experience with these cases ensures that the value of your case can be maximized to the fullest extent of California law. Contact our office any time for a free review of your situation.